It’s been a while since I last wrote about fashion, but there’s no way I could keep this awesome event a secret. 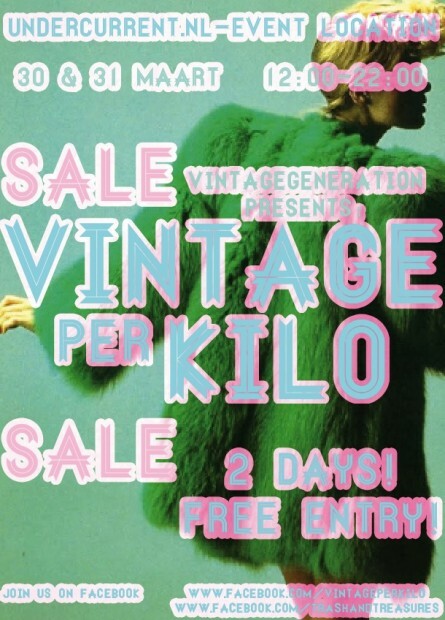 The last weekend of March Vintagegeneration and Trash&Treasures organize a massive vintage sale. 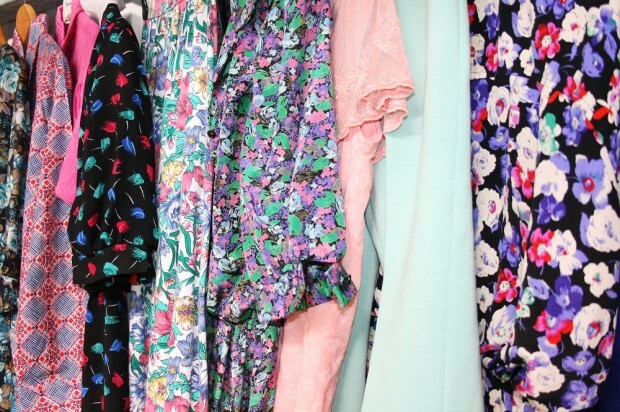 Vintage and sale are probably two of my favourite words, especially when combined. The concept is simple but genius: one kilo clothing costs €15. Literally dive in tons of clothing to hunt for vintage treasures and pay for the weight of the fashion artifacts you found. The clothing is hand-picked from all over Europe. Find yourself a coat, jacket, skirt, jumpsuit, dress, or something else in ’40s till ‘90s style. Everyone will find something to fall in love with, including men and kids. And if this isn’t enough reason to check this out, from 18:00 the lovely DJs from Zeezout will provide you with some tunes. Last but not least, some handy information: entrance and parking is free, there’s a cloakroom in the building and food and drinks at the Undercurrent bar, and to keep you warm until the actual event there’s some pretty cool stuff you can win at the Vintage per Kilo Facebook page.